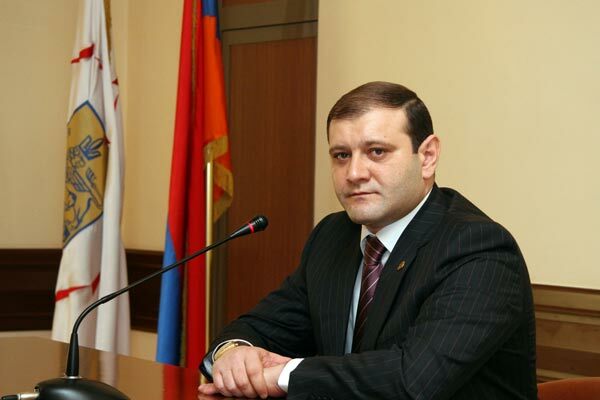 Yerevan city Vice-Mayor Taron Margaryan was appointed the acting mayor of the city until the election of a new head of the City Hall, the press service of Yerevan City Hall said. It comes after Yerevan Mayor Karen Karapetyan tendered his resignation on October 28, aiming personal reasons behind the move. According to some media reports, Karapetyan is going to take a leading managing position at Gazprom Company in Moscow. Before he was appointed mayor of Yerevan, Karen Karapetyan was the general director of ArmRosGazprom and has close connections amongst Russian businessmen. According to the Law “On Local Self-Governing Bodies in Yerevan”, the snap elections are held not later than a month after the mayor’s position becomes vacant. The Council of Elders of the Municipality has the factions of the Republican Party of Armenia with 35 members and the Prosperous Armenia Party with 17 members. Margaryan, 33 is a son of the late Andranik Margaryan, a Republican Party member, who was Armenia’s premier from 2000 to 2007, until his death.